Targeted online advertising is extremely important when starting an online business. By narrowing down your focus, you will be better able to attract quality leads that are more likely to become actual paying customers. A general advertising campaign may reach out to large quantities of consumers, but they will be less likely to generate the same response in terms of sales and leads. Some business owners are reluctant to work with a company offering targeted online advertising services. You may find that you can benefit tremendously by utilizing the assistance of a skilled professional. If you aren’t sure about how to approach targeted internet advertising, ask yourself the following questions. Do I Know How Consumers Search the Web? You may know quite a bit about your demographic. You have performed market research to determine where they come from and what characteristics identify them. However do you know how they search on the web? A good targeted online advertising campaign must take this into consideration. A professional is equipped to explore all the possibilities and determine the best way to approach your next campaign based on the search habits of the demographic you are targeting. The online marketplace is very big and highly competitive, so you need to know how to get the attention of your demographic if you want to be successful. Do I Have the Time to Research My Targeted Advertising Campaign? Just like any other aspect of your business, advertising campaigns can take time to plan and execute. You must research your approach and determine the best way to send the message you want to consumers. A targeted online advertising agency can help you by taking some of the burden from your shoulders and streamlining the entire process. A skilled professional is paid to devote time to your campaign, so you can invest more time back into other areas of your business. This is the only reason some business owners need convincing to hire a professional advertising service to handle their campaigns. Do I Know the Best Places to Start My Advertising Campaign? 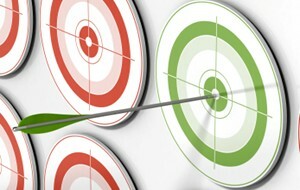 Do you know where to begin your targeted advertising campaign? There are many options on the web, each can introduce your brand to a different crowd. A professional has done this before and can provide excellent suggestions that can show you to advertising venues that will work based on your business’ specifications. Even after you get your campaign started, you may want to grow it later. A successful advertising campaign will generate more interest and sales, which will give you more to work with. Many business owners decide to expand their existing advertising efforts. 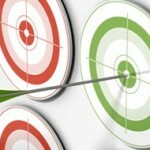 When the time comes, will you know what direction to take your targeted ad campaign? A seasoned professional can show you your best options and provide the benefits and draw backs of each. This information can help you make a good choice that can determine the future of your business on the web.